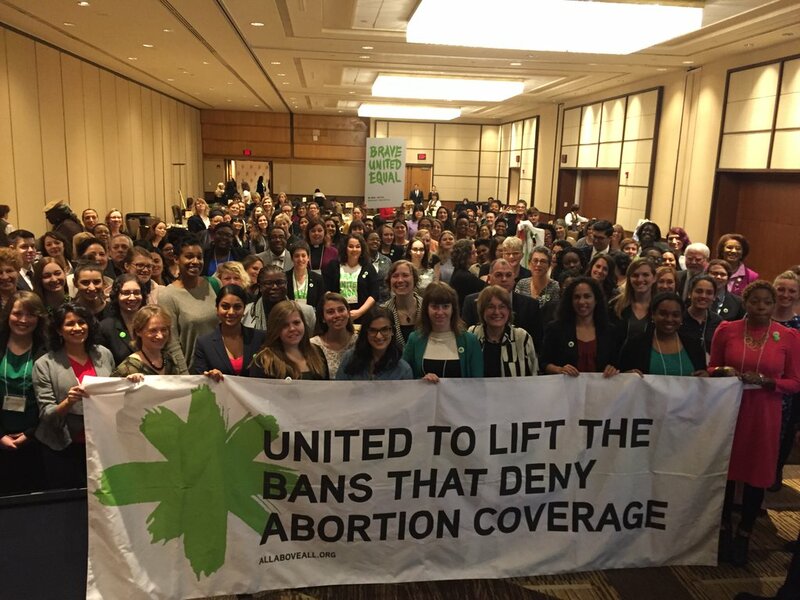 This week, as All* Above All delegates gather to meet with Members of Congress to discuss lifting the bans on abortion coverage and supporting the Equal Access to Abortion in Health Insurance (EACH) Woman Act, we find ourselves just past the midpoint of National Domestic Violence Awareness Month. This is an apt time to consider the intersections between trauma, mental health, and autonomy and agency over sexual and reproductive decision-making — for women of color, poor women, Indigenous women, immigrant women, and LGBTQ communities. In solidarity with other Asian and Pacific Islander (API) women from across the country, delegates from the National Asian Pacific American Women’s Forum (NAPAWF) are gathered on Capitol Hill to educate our legislators on the importance of the EACH Woman Act to our varied and diverse communities. The EACH Woman Act would ensure coverage of abortion services for people enrolled in federally-funded health insurance plans administered through Medicaid, Indian Health Services, the Federal Bureau of Prisons, and other programs. NAPAWF is showing up in force to stand in solidarity with those impacted by abortion funding restrictions, as an organizational member of All* Above All — a diverse coalition led by women’s health, Reproductive Justice, and youth organizations — and to resist the erasure of API women and other groups that are continually marginalized and misrepresented in the political discourse and lawmaking processes that impact our lives. 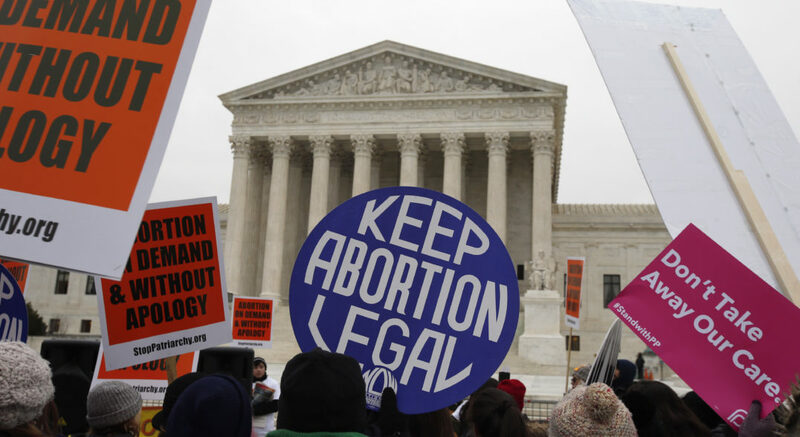 Reproductive justice (RJ) is at the center of NAPAWF’s work to lift the bans that disproportionately restrict access to abortion for certain groups of people, based on the intersection of income level and health insurance status. As a framework, RJ insists on seeing a person in the context of their life overall, rather than as a depoliticized and isolated rights-bearing agent. The RJ framework — conceptualized by Black women fighting in the movement for sexual and reproductive self-determination as an integral pillar of social justice — is crucial, and perhaps life-saving, for many. It has the power to connect the experiences of trauma, militarization, migration, and transnational structural violence with individual experiences of sexual and reproductive oppression — which are key intersections for API women, their families, and communities. Intimate partner violence, along with other forms of domestic violence, is distinctly driven by a person’s desire to achieve power and control over another person. 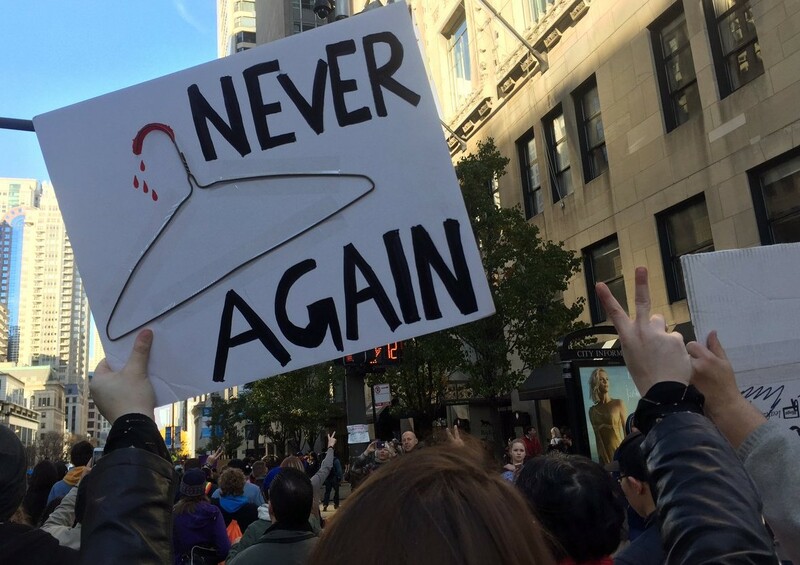 In this sense, denial of abortion care under the Hyde Amendment is a form of violence with a parallel undercurrent rooted in the assertion of power and control over a person’s body. 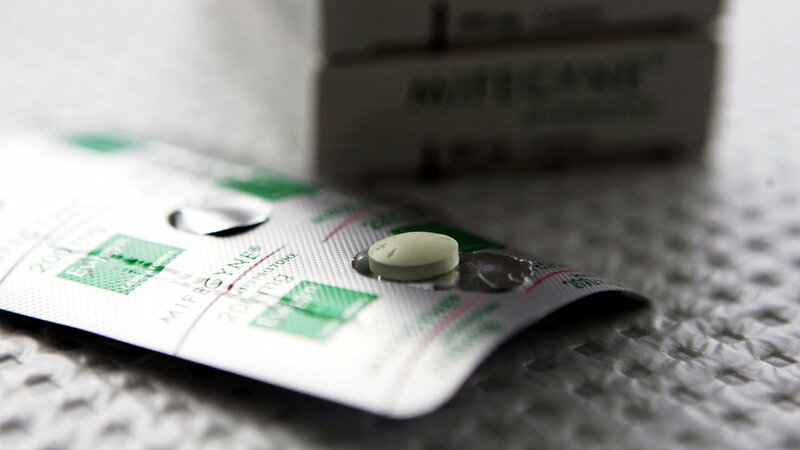 Forcing a woman to carry an unwanted pregnancy to term — especially where such coercion is based on the amount of money she makes and her source of health insurance — is a startling act of violence on both an individual and structural level. It is a form of violence against women, and it is a form of violence against people with the biological capacity for pregnancy across the spectrum of gender identity. As it stands, API women already face cultural and linguistic barriers to accessing health care, and as many as one in five Southeast Asian women and one in seven Native Hawaiian and Pacific Islander women are enrolled in Medicaid. Over one million API women live below the poverty line, and this number has steadily increased in recent past years. Medicaid coverage and coverage through other federally funded insurance plans is absolutely necessary for the overall health of our communities, in which sexual and reproductive health, mental health, and relationship safety are often intertwined. These intersections are significant for our communities, in which young API women report disproportionately high rates of depression and suicidality, and similar to API people generally, are less likely to seek professional mental health services, and are less likely to report experiences of violence. API communities are continually caricatured and erased by stereotypical tropes historically espoused to isolate us and divide us from the movements for justice that we have a stake in. Thus, we are here in the nation’s capital to break the internally and externally imposed silences and divisions that impact our lives. We are here to say quite plainly that we deserve to make our own decisions about our bodies, sexuality, gender, relationships, reproduction, and communities. We are here because we know that the federal government’s denial of the legal right to abortion — hidden under the proxy of income and insurance status — is meant to discipline and regulate poor women, women of color, Indigenous women, immigrant women, and LGBTQ people. For our communities, our presence here is a political act. We are here in full support of all those who will need an abortion this year — for all manner of reasons and from all walks of life — who will face external stigma, internalized shame, and violence for their decisions. We are here to intervene in the processes of power and control that constrain API women, that restrict the freedom of our many communities, and for all those we love and stand beside in struggle. Mel R. Medalle is the Policy & Advocacy Program Manager at SisterLove, Inc., and the Chair of the Atlanta chapter of the National Asian Pacific American Women's Forum (NAPAWF). Mel R. Medalle is the Policy & Advocacy Manager at SisterLove, Inc., and the Chair of the Atlanta chapter of the National Asian Pacific American Women's Forum (NAPAWF).